"You are so slim where I carried you on back, but even you get heavier, you also my sweetheart in my life and I am willing to carried you for a long long time.” How romantic it is!! I also touched by this simple sentence,even they are just simple. 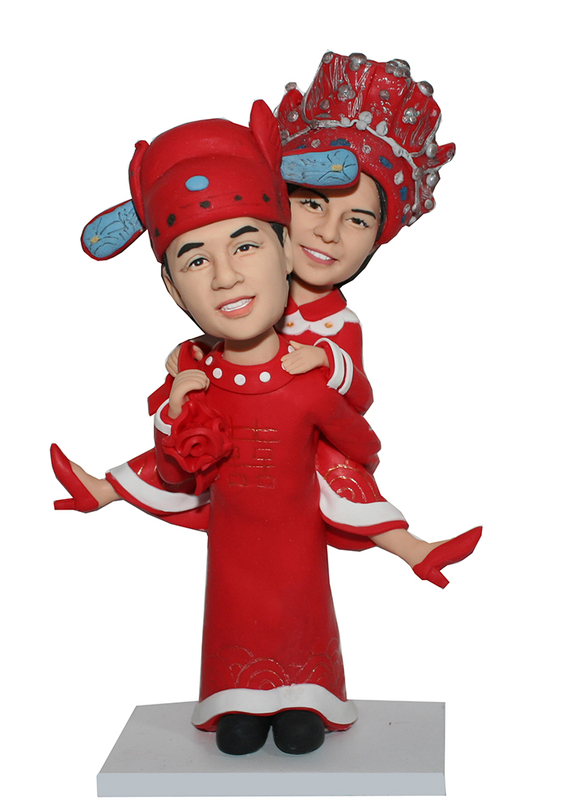 This customized bobbleheads depict groom carried bride on back and both of them are wearing Chinese traditional wedding dress.Want your wedding have a little exotic, this 100% handmade to every detail wedding bobbleheads is your best choice. Make your guest thrill in your wedding day.That would be have a lot of fun.